SDChain Representatives Attend a Board Meeting of the Chinese Blockchain Association in Taipei, Taiwan. 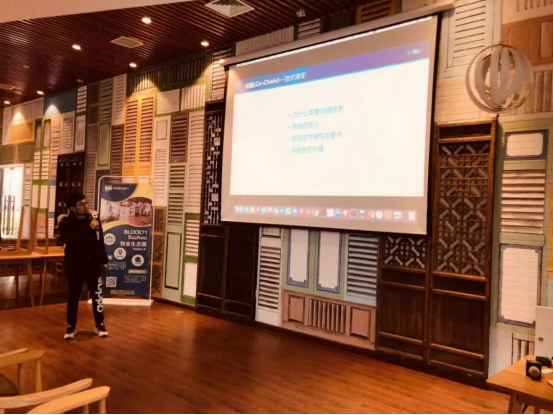 On March 11, 2019, SDChain representatives attended a board meeting of the Chinese Blockchain Association in Taipei, Taiwan and discussed with other participants how to further promote blockchain technology and development to members of the Association, major enterprises, and individuals through information dissemination. The aim is to achieve effective transmission of information to transform blockchain technology into a standard that is beneficial for enterprises or personal development. The Co-Chain community members shared their in-depth visions of future trends in AI and blockchains and, together with members of the audience, they discussed how cutting-edge technologies can help realize the application value of science and technology and accelerate industrial development. Co-Chain technology is expected to become the new generation of the blockchain commercial infrastructure. Because it takes into account the advantages of privacy protection and interconnection, it meets the demand for privacy and value interaction. It is the mainstream direction of blockchain technology development in the future. Because of Apple’s new policy mechanism, six-domain users cannot open the SD-Wallet properly. The six-domain alliance wallet has been renewed for six-domain users. Users only need to uninstall and reinstall the SD-Wallet (download address: https://www.sdchain.io/SD-Wallet), which can then be used normally. 1. Completed the SDChain-Matrix link file pending payment information calculation and query RPC interface development and implementation. 2. Completed the development and implementation of the file download function interface on the SDChain-Matrix chain. 3. Completed SDChain-Matrix to parse the charging rules of file upload in the configuration file by the Nodejs mode. 4. Completed the design of the inactivated interface of the new SDChain-Wallet prototype wallet. 5. Completed the translation of the first draft of the SDChain-Wallet internationalization. 6. Completed the new SDChain-Wallet development plan. 7. Completed the drawing of the new SDChain-Wallet UI interface. 8. Completed the new SDChain-Holographic prototype optimization review and modification. 9. Completed the optimization of the DataApi background account password storage mechanism. 10. Repaired the problem of time coverage after retrieving the DataApi back-end blocks. 11. Continued to support the SDA convertibility of ERC-20. 1. Repair the BUG that failed to upload the large SDChain-Matrix file by parsing the configuration file in Nodejs mode. 2. Test the SDChain-Matrix file storage node deployment and non-storage node compatibility. 3. Test the function of the SDChain-Matrix file payment chain, and the performance and stability of the large file chain. 4. Test the function of file payment download on SDChain-Matrix chain and verify the validity of file payment. 5. Complete the modification of the SDChain-Wallet prototype: encryption and decryption of old users. 6. 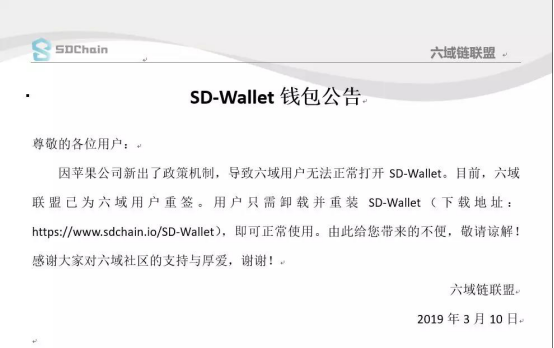 Complete Supplement: SDChain-Wallet Specification. 7. Complete the new SDChain-Wallet UI interface optimization by 100%. 8.Partly complete the interface design of the SDChain-Holographic. 9. Continue to support the SDA convertibility of ERC-20.